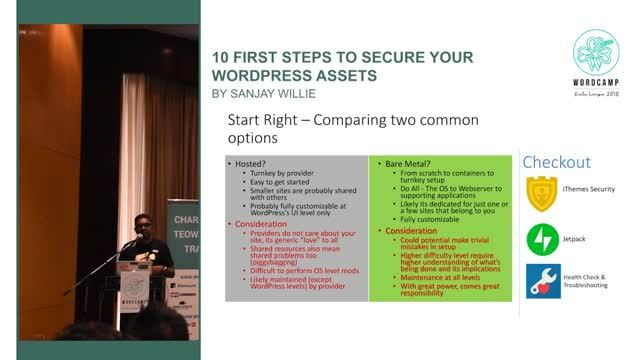 February 8, 2019 — In this talk, I’d like to share what are the essential 10 tips and tricks to secure any WordPress site to ensure you’re ready to share all the WordPress goodness to the world. These are “Do not leave installation without these” kind of nature. It’s simple, straightforward, least geeky and anyone can do them.